Why Walmart when you can Emart!? 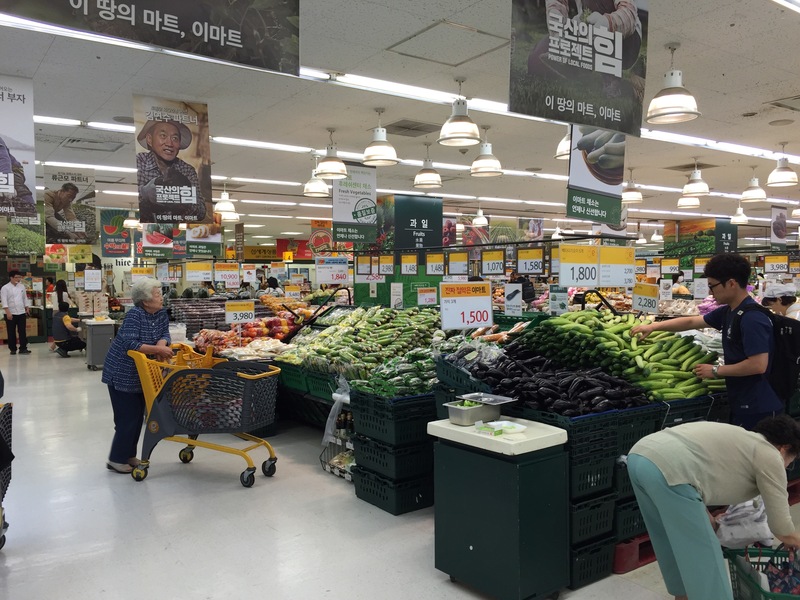 From what we’ve heard, fruits and vegetables we are better off getting at product stands, but for everything else we need to go to a Supermarket (Koreans call them “Supers” for short). 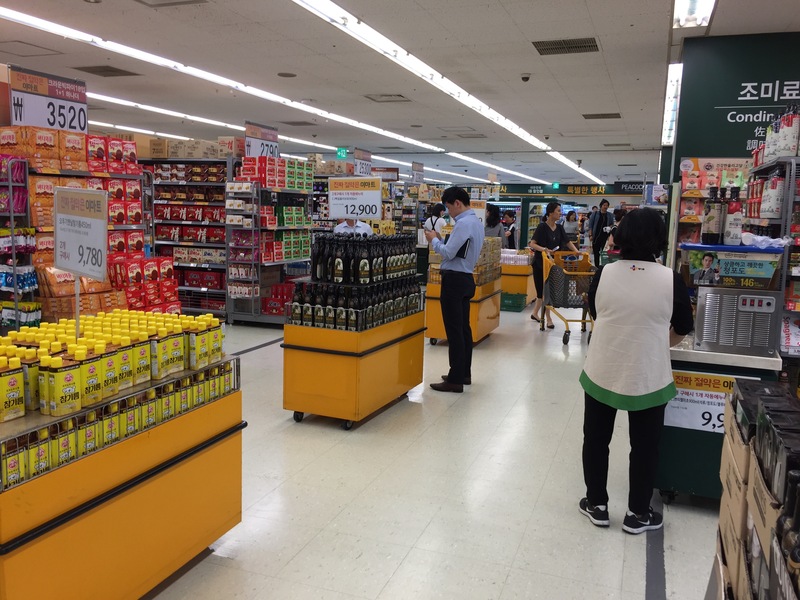 So I knew about emart because I used to work with them a little in my previous life, but I had NO idea that they were this amazing! They literally have everything your little heart desires!! 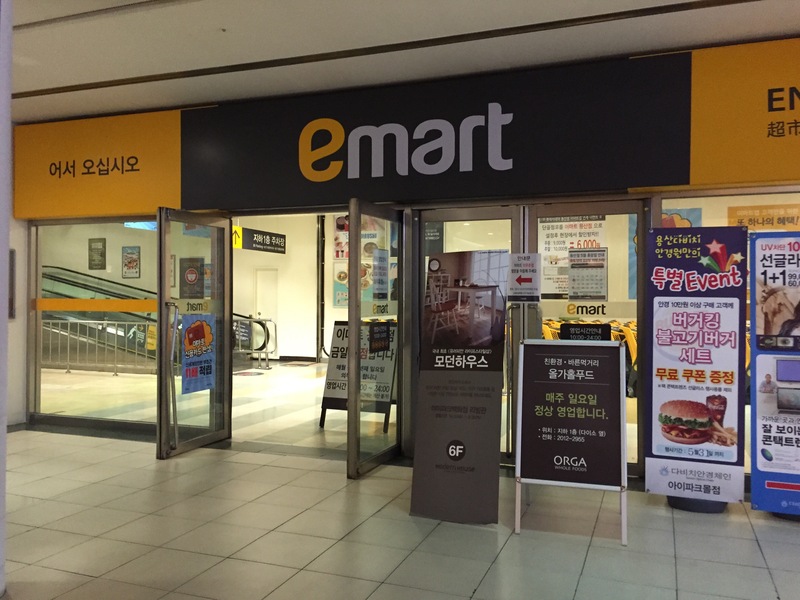 The emart closest to us is at Yongsan station in their B1 and B2 levels. The B1 level houses all of the Fashion, Home, Everyday Commodities, Detergent, Paper Products, Sports, Toys, Stationary, Books, Baby, and Children items. 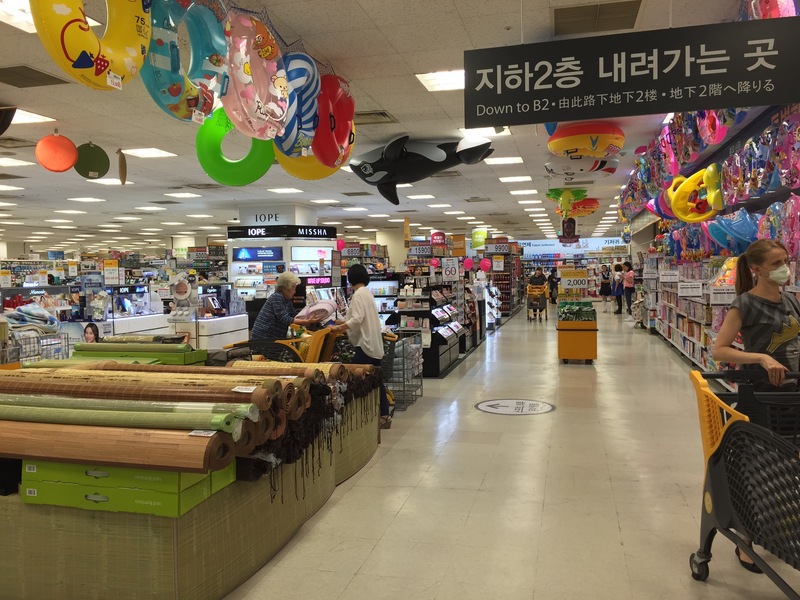 Then then the B2 level houses Grocery, Kitchen, Customer Service, Food Court, Wine Shop, and Bakery. So we started off on B1 and walked around, this place is enormous. If you ever thought a Super Walmart was big, then you need to go to an Emart. 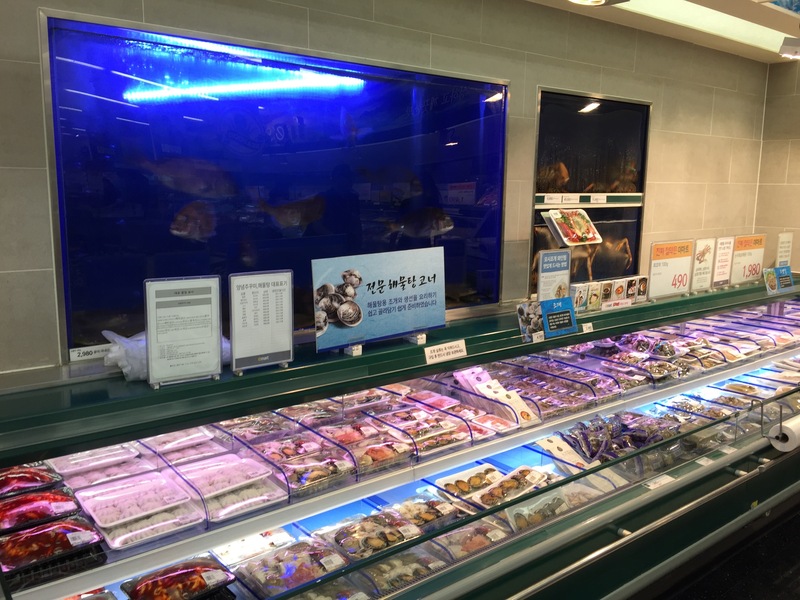 They even sell fish, small pets, and birds! Then we headed to B2 for the important stuff. The food! 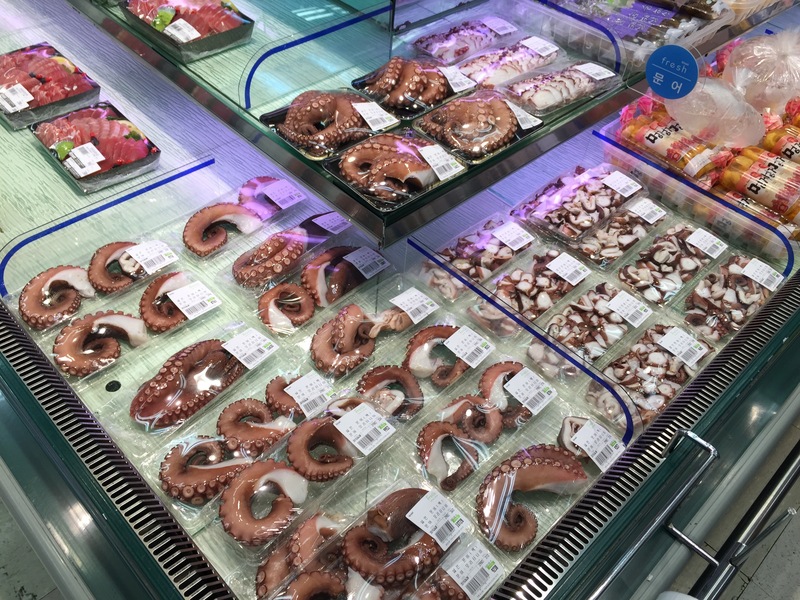 Emart has a huge variety of produce. You have to be conscious of the pricing as some things are priced per 100 grams, which isn’t even 1/4 of a pound. Prices on something things are not bad, and on others seem really pricey. Currently it is watermelon season and one medium size watermelon will run you about 10-13,000 won. 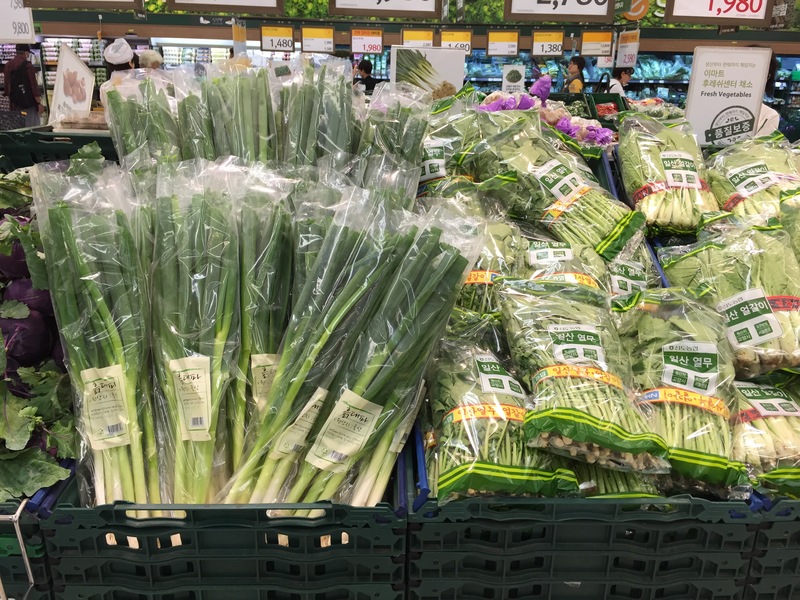 I have NEVER seen scallions this huge!! 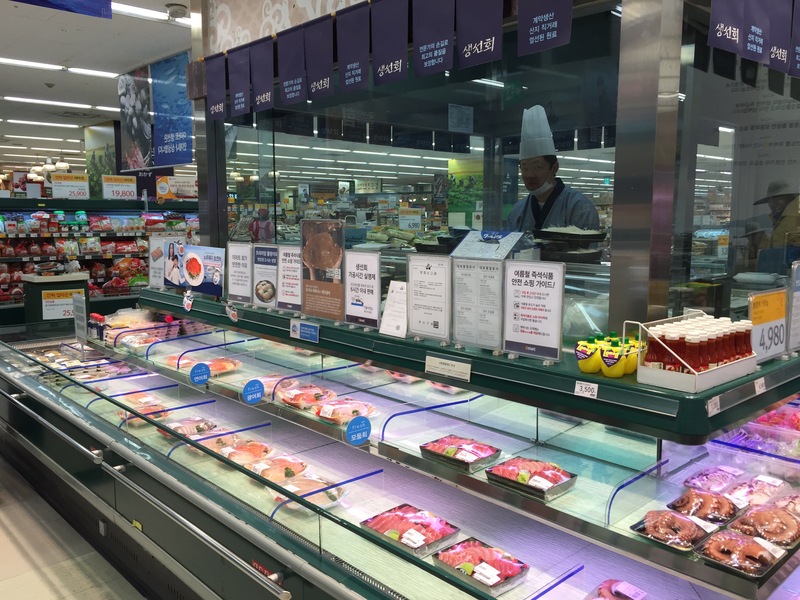 If you have visited or lived in Washington D.C. and gone to Hmart, you will know all about my favorite part of Korean supermarkets. It’s the free samples! 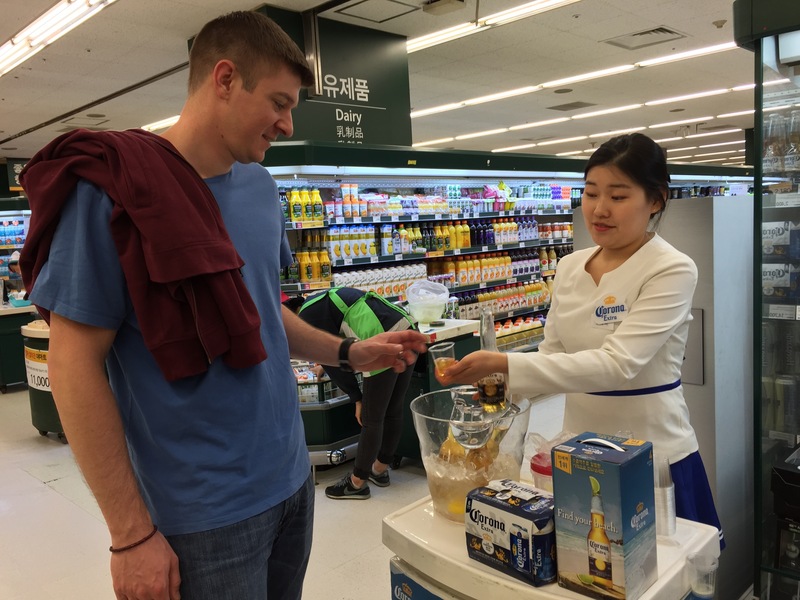 They don’t have just a couple stands giving away food, they have an a ton in every aisle including free samples of beer, wine, and more. It’s really very fun to try stuff, and something you get to sample something you never would have considered buying yourself. I must say that the prices at the grocery store are higher than what we are used to in the states. However, from what I can tell, the quality of food is higher too. I will definitely be checking out some local fruit and produce vendors as I hear that their product is not only fresher, but cheaper. 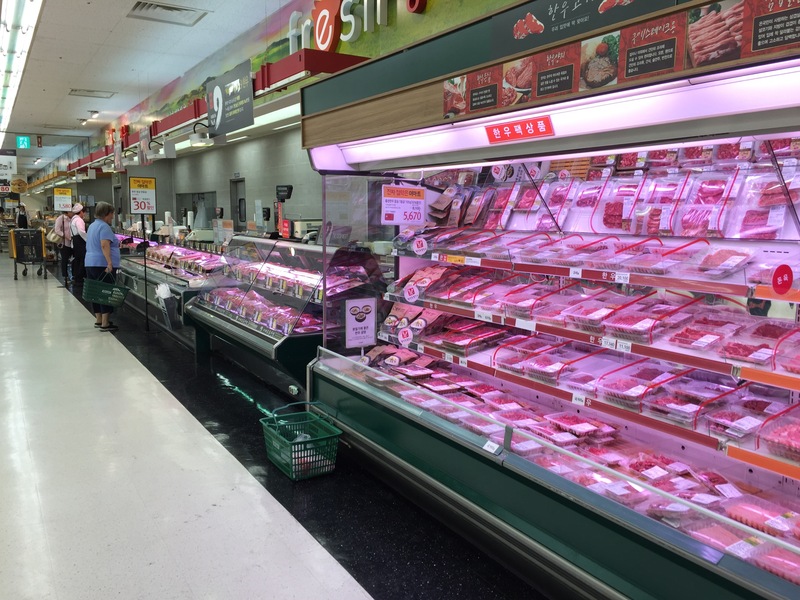 But I will stick to the supermarkets for my meats and other dry goods. Now I just need to find a Chinese grocery store to buy a few key items! Let me know if you know of any!